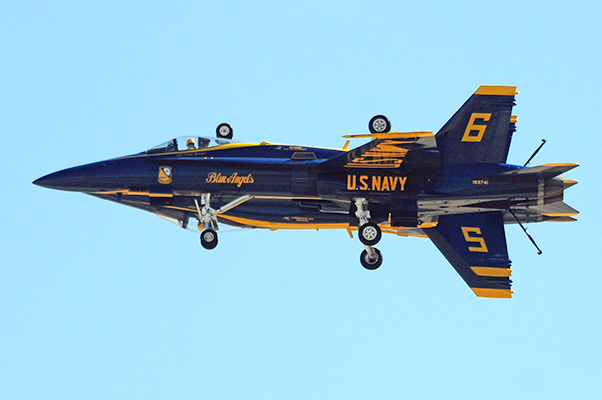 The U.S. Navy flight demonstration team the Blue Angels were the headline act the 2016 Marine Corps Air Station Miramar Air Show Sept. 23-25. 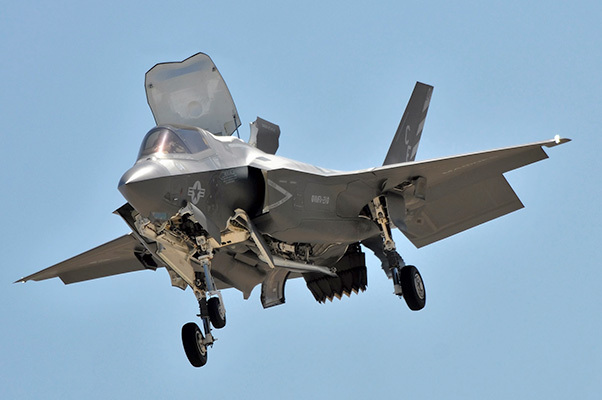 Additionally, the Marines’ newest aircraft the F-35 — the world’s first 5th generation stealth fighter — made a rare appearance at a California air show, performing a demo of its STOVL capabilities and later being on static display. The demo was performed by Lt. Col. Chad A. Vaughn commander of the VMFA 211 Wake Avengers stationed at Yuma Marine Corps Air Station, Ariz., and the second operational squadron in the Marine Corp to fly the F-35. 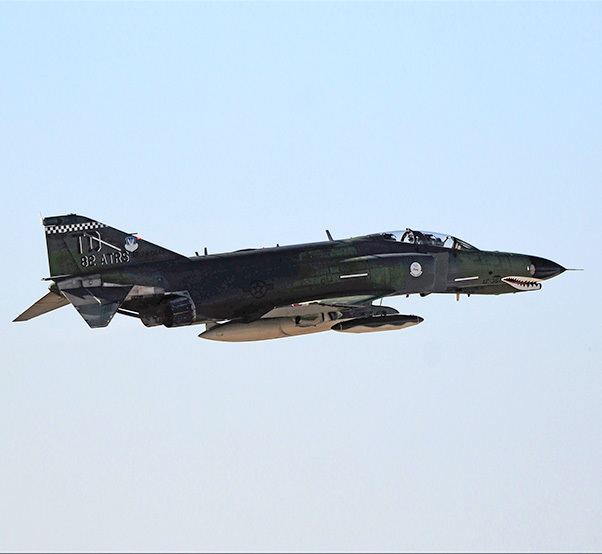 The show opened the morning of Sept. 23 with the arrival of the QF-4 Phantom from Holloman Air Force Base, N.M., and piloted by civilian DOD employee Jim Harkins the last U.S. pilot ever to fly 1,000 hours in the F-4 and was one of the last flights ever by an F-4 Phantom. The theme of this year’s open house was celebrating 100 years of the Marine Corps Reserve. The air show, advertised by the Marines as largest military airshow in the United States, proved once again to be an absolutely spectacular event. The air show featured the F-35B, the U.S. Navy Blue Angels and the 3rd Marine Aircraft Wings MAGTF simulated combat assault. The world-famous U.S. Navy six-plane Flight Demonstration Team the Blue Angels, celebrating 29 years of flying the F/A-18 Hornet, flew their entertaining performance all three days much to the delight of the hundreds of thousands of airshow fans that attended the open house. 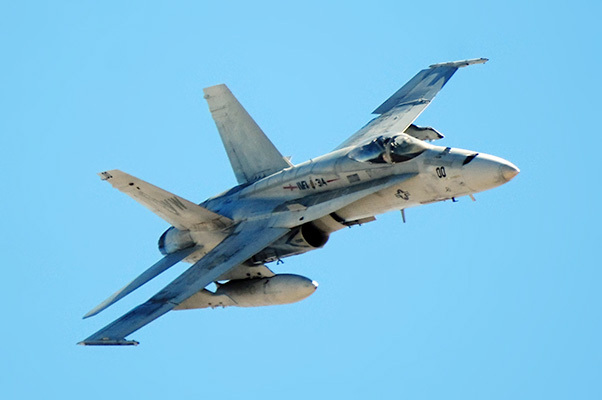 The team flew a spectacular 45-minute routine in their Hornets showing the raw power and high performance with the 32,000 pounds of thrust of the F-18. The Blue Angels were formed in 1946 and have performed all over the world and are scheduled to perform 62 airshows at 32 different show sites in 2016. 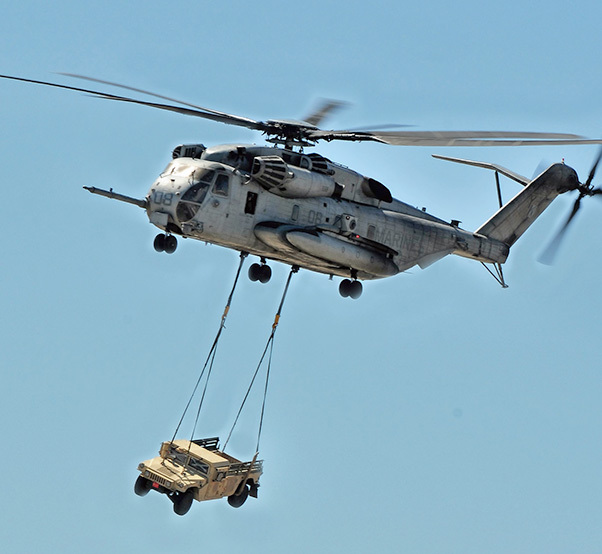 The Marine Air-Ground Task Force demonstration is the one portion of the air show that separates the MCAS Miramar air show from all the others. The four-element firepower demonstration features a simulated combat assault attack from the air as well as on the ground. 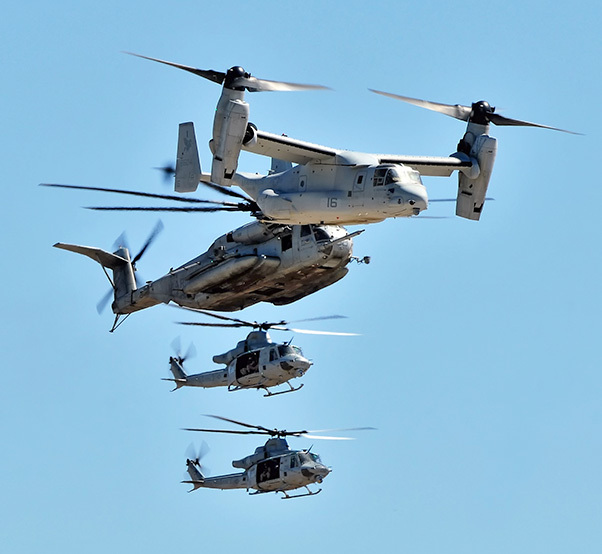 The explosive display of Marine Corps capabilities included the MV-22 Osprey and also included F/A-18 Hornet attack jets, AV8-B Harrier jump jets, KC 130 Hercules refueling planes, CH-53E Super Stallions, AH-1Z Super Cobras and UH-1Y Huey helicopters. The ground elements included several tanks, assault vehicles and ground troops. The U.S. Marine Corps showcased their AV-8B Harrier jump jet from MCAS Yuma, Ariz., as it demonstrated its ability to take off and land vertically and the U.S. Army showed off their precision parachute team the “Golden Knights” who jumped with the U.S. Navy Leap Frogs. 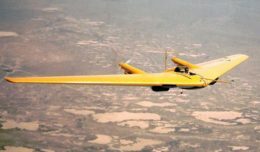 The F-16 Fighting Falcon from the U.S. Air force performed a dynamic demonstration of its capabilities and flew a heritage flight with a P-51 Mustang from the Chino Planes of Fame museum piloted by Steve Hinton. Civilian aerobatic performances were a big part of the show with the Breitling jet from France flying a seven jet demonstration in their L-39s along with Sean D. Tucker in his Oracle Challenger, Brett Willat flying a sailplane, Shockwave and John Collver in an AT-6 Texan rounded out the civilian acts. The flight line included several dozen static displays of military and civilian aircraft and mainly showcased Marine Corps aircraft and vehicles and weapon systems. Highlights of the static display area were the U.S. Air Force QF-4 Phantom a B1-B Bomber, KC-135 and included several MV-22 Ospreys, KC-130 Hercules’ and several Huey, Cobra and CH-53 helicopters and F-18 Hornets from the home based squadrons at Miramar Marine Corps Air Station and two U.S. Navy F-18 Growlers. The 2016 Miramar Air Show was once again one of the elite flying and static displays to be demonstrated in the United States during this year’s air show season and MCAS Miramar, commanded by Col. Jason G. Woodworth and part of the 3rd Marine Aircraft Wing commanded by Maj. Gen. Mark R. Wise, once given were given a chance to show the public its fixed wing aircraft and helicopters along with its state of the art equipment and the public was given a rare opportunity to meet its brave and courageous men and women in uniform as they train to support the war on terrorism.